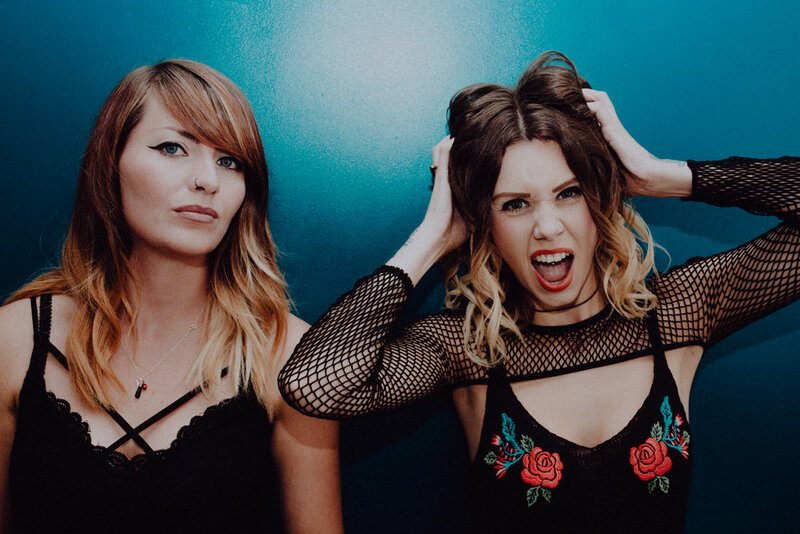 Rews are the London/Belfast based high energy alternative rock pop female duo consisting of Shauna Tohill (Vocals/Guitar) and Collette Williams (Vocals/Drums). Together they are creating a genuine buzz on the UK and Irish music scene. The band’s first single, ‘Miss You In The Dark’ was released in June 2017 to coincide with the band’s debut performances on the John Peel Stage at Glastonbury Festival, with BBC 6 Music and BBC TV highlighting them as one of the acts of the weekend. The following singles have featured on BBC Radio 1, BBC 6 Music, Radio X and Planet Rock Radio, with ‘Your Tears’ being the BBC Introducing Track of the Week on BBC Radio 1. Debut album ‘Pyro’ was critically acclaimed and featured across the UK press, and released in the US on January 18, 2019. Rews released latest single ‘Can You Feel It?’ in September 2018 following on from supporting USA giants Halestorm on their UK tour and are set to bring their unique sound to stages around the world.